Today was Easter, a holiday I love actually. I tried to go to hear Gospel music but was thwarted in my attempt by renovations at the church I like to go to. I’m glad the Church is being renovated though, it needs it. 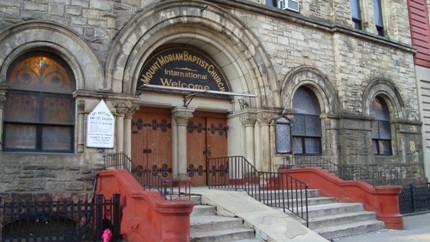 It’s a beautiful historic church in Harlem that I like to go to when I want to hear a sermon. Instead, I made my way to St. John the Divine, another church I am partial to on the West Side. Sometimes when I stand on west 112th street and look west at the rose window on St. John the Divine, I can fantasize that I am having a “gita fuori porta,” a lovely expression for a trip outside of the city, outside of the city walls. The view looks to me like that of a gothic cathedral, like Reims or Rouen.